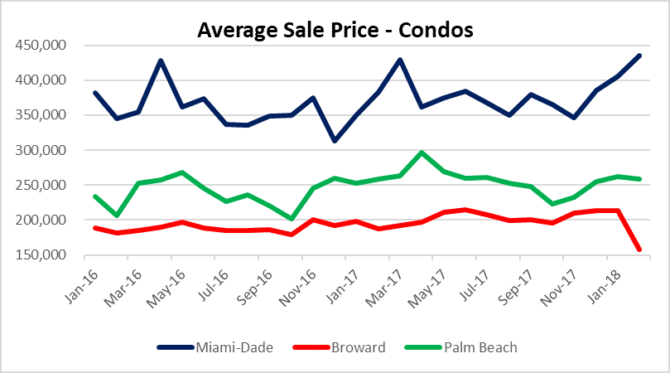 Spring has arrived in South Florida real estate market. Spring has arrived in South Florida, which means it is slightly warmer than winter and not as hot as summer just yet. 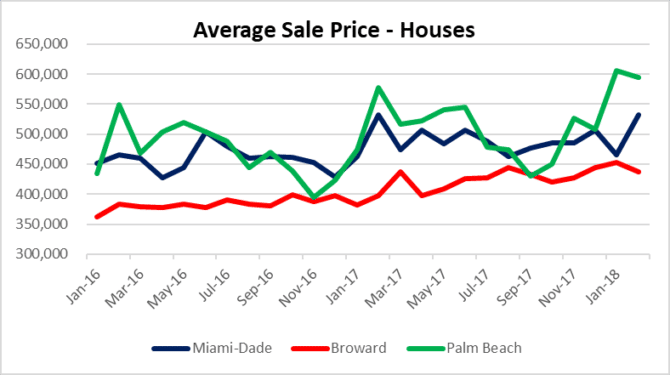 Our charts of the Miami-Dade, Broward and Palm Beach residential real estate market are shaping up nicely, so let’s get cracking on them. 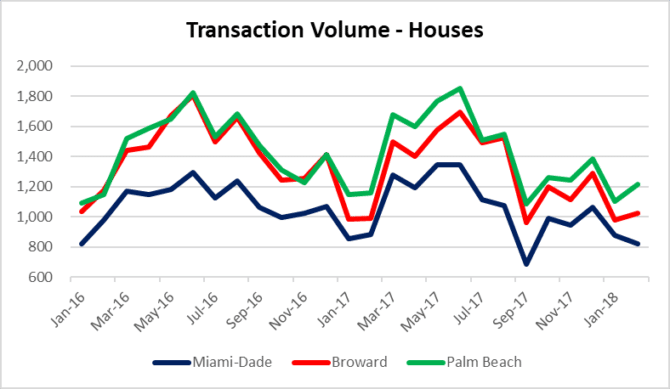 If you look back at 2017, there was a significant jump in transaction volume for houses in South Florida. We will see if the spring this year has similar strength. 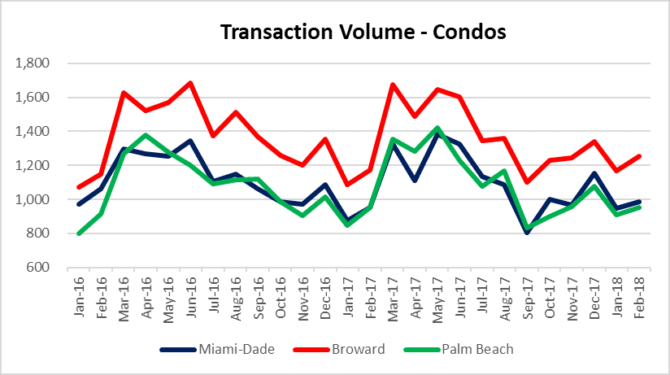 As for the condo market, we are waiting to see deal volume pick up. Here is the latest chart and data. It is clear that this market is still plagued by plenty of distressed properties. Last week we read an interesting article on CBS Marketwatch about people using their houses as ATM’s Housing ATM…again? We have discussed repeatedly how the low interest rates for nearly a decade have enticed borrowers to take on tremendous debt loads. Time will tell how this plays out! 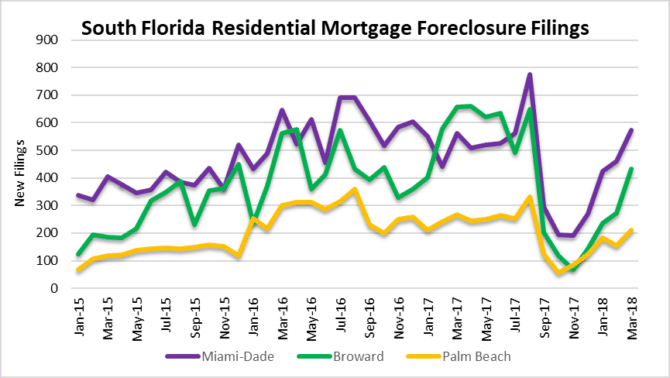 This entry was posted in Foreclosure activity, Fort Lauderdale foreclosures, Market Insight, South Florida Real Estate and tagged Fort Lauderdale real estate, Miami real estate, REO. Bookmark the permalink. Both comments and trackbacks are currently closed.